Fantastic opportunity for this price! This home has so much to offer you just have to see it! Lovingly maintained double wide with nice covered porches, detached carport for covered parking, metal roof is only 8 years old and low maintenance. 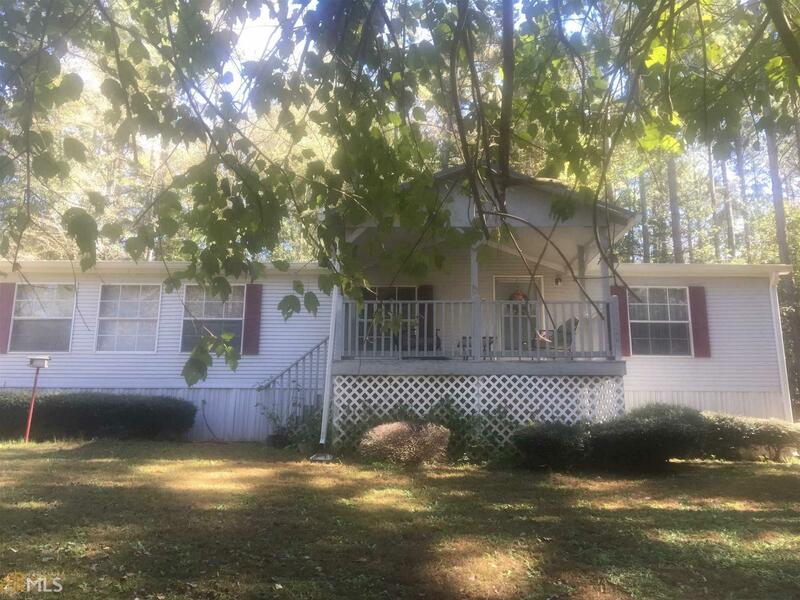 Beautiful wooded 5.8 acre lot, partially fenced and a second older manufactured home is on the property (however single wide has not been lived in for many years and is currently used for storage). Where the single wide is located there is an asphalt driveway, detached garage/workshop and storage building. The possibilities are endless here. MUST SEE this home place. Directions: Hwy 172 Toward Bowman. Turn Right On Deep Creek Rd. Property Is Approximately 1/2 Mile On Right.